An employee will get confirmation to their Time off only when his/her reporting manager approves their request. When an employee requests time off, the reporting manager of the employee will be notified. Reporting manager holds the key to accept or decline employees time off request. Once he approves/declines it will be reflected in your HRMS dashboard. 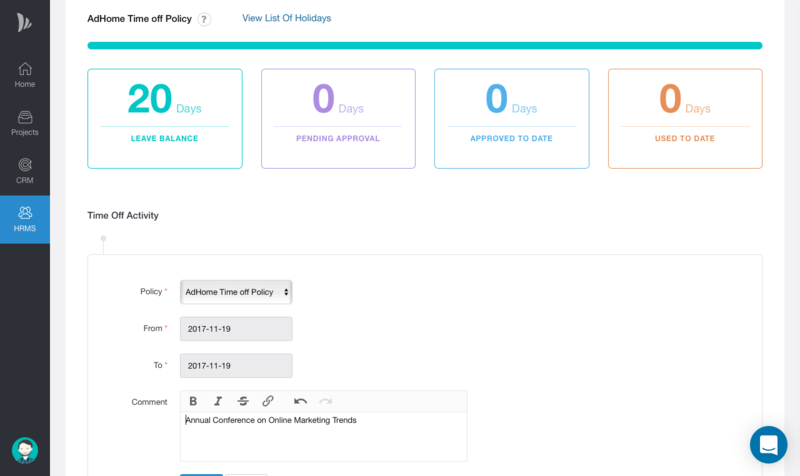 Select leave policy, enter dates and comments in the request form. 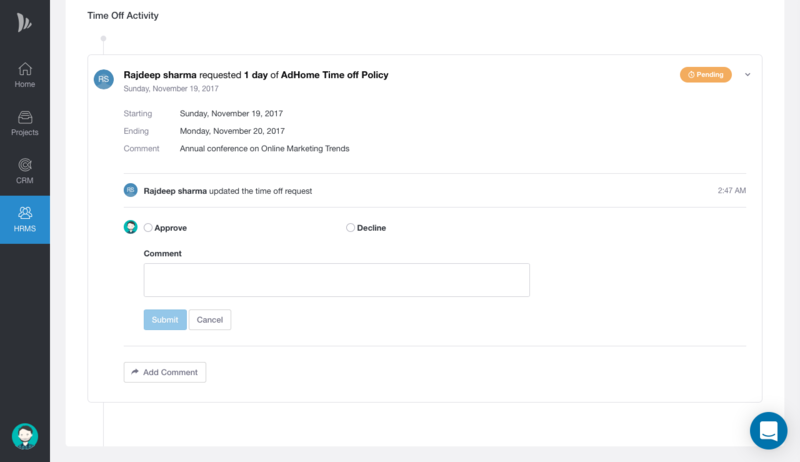 Time off requests will be shown in tasks on HRMS homepage or can be accessed from HRMS Tasks tab. Select approve or decline then hit the submit button.